GLOUCESTER DPW ROCKIN THE NEW FENCING AT GOOD HARBOR BEACH! Check out the awesome new dune fencing recently installed at Good Harbor Beach by our DPW crew. The wire fencing runs along the length of the beach. The DPW did an outstanding job, very neat and unobtrusive. 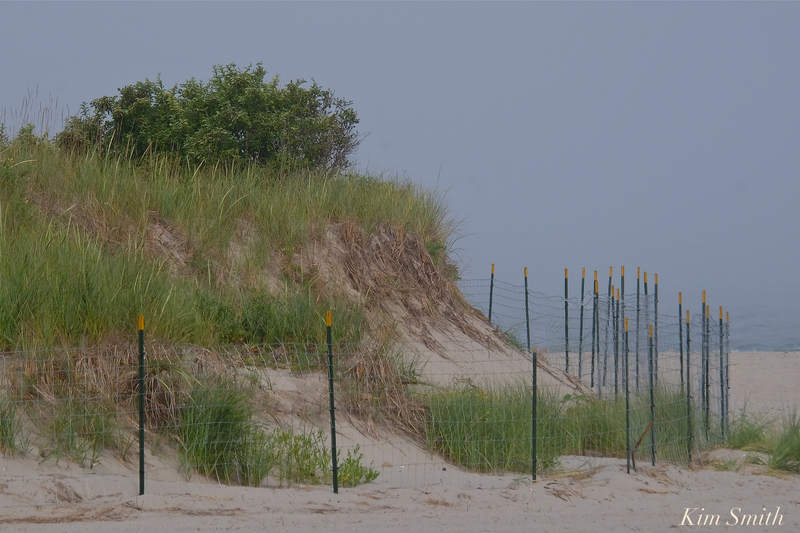 Dune fencing plays an important role in reducing erosion. 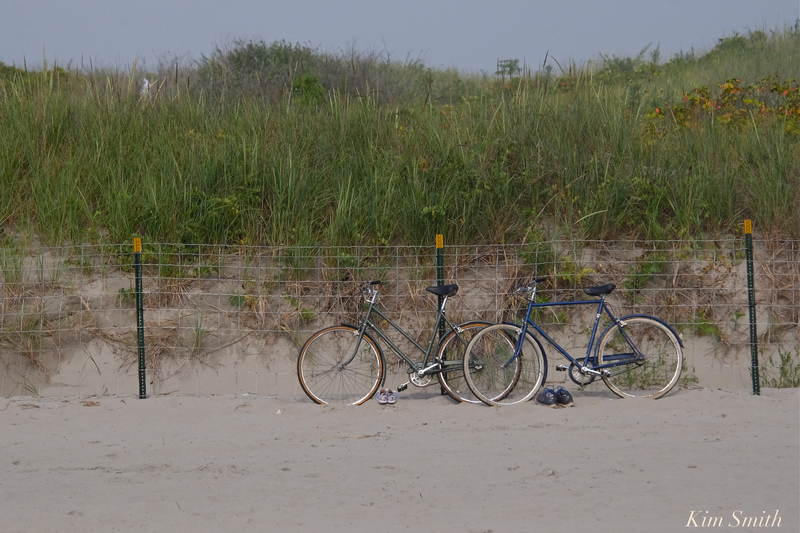 One of the main benefits of dune fencing is to help keep pets and people out of the dunes. Why is it detrimental to the dunes to allow uncontrolled dogs to run through the dunes and for people to use the dunes to access the parking lot, or worse, as their personal toilet? Repeated traffic through the dunes damages and kills the plants growing in the dunes. Plants help control erosion by stabilizing soil and sediments with their roots. Dune vegetation helps break the impact of of wave splash and rain, and also traps sand to help build up the dunes. 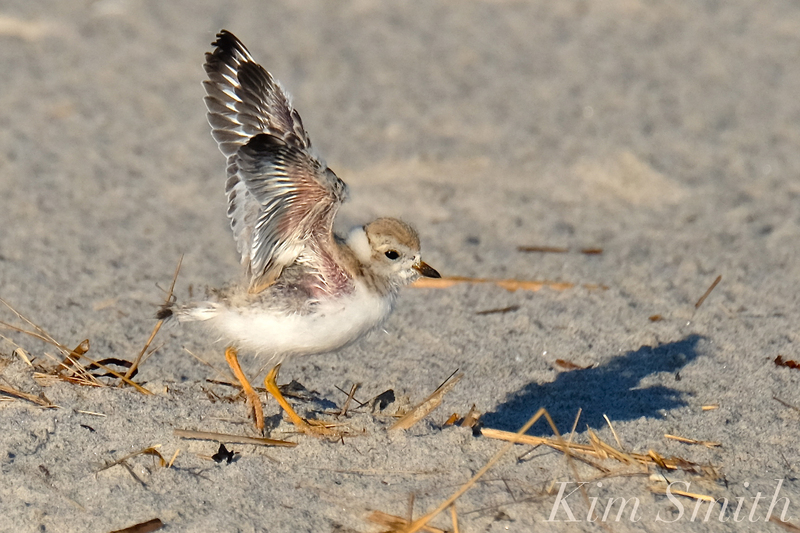 The fencing material installed by the DPW is an excellent choice for nesting shorebirds. 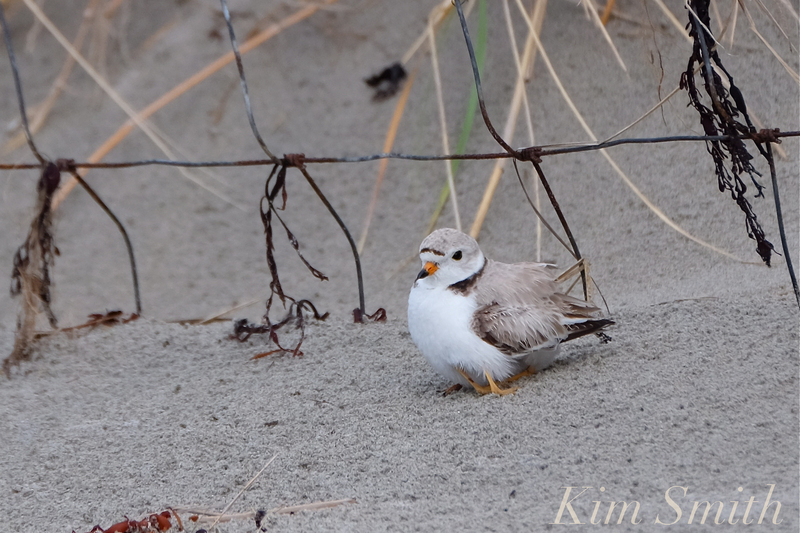 This year especially, with much of the beach vegetation washed away and with the beach greatly narrowed, the Piping Plover adults and chicks had learned to use the area behind the old wire fencing for shade and to hide from predators. The open fencing still allows for small wild creatures to go in and out of the holes to find shelter and safety at the base of the dune. Thank you Gloucester DPW for a super job well done! Adult Piping Plovers and chicks found shelter along the wire fencing (the Bachelor left, and Mama and Pip, right). This entry was posted in Birds, Birds of New England, Cape Ann, Cape Ann Wildlife, Gloucester, Gloucester Plover, Good Harbor Beach, Life at the Edge of the Sea, Piping Plover, shorebirds and tagged #sharetheshore, beach erosion, Beautiful Birds of Cape Ann, Charadrius melodus, dune fencing, erosion, Gloucester DPW, Good Harbor Beach, nesting shorebirds, Piping Plovers nesting on August 14, 2018 by Kim Smith.